Unlike other novenas, where people ask for something from God through the intercession of His Holy Saints, Divine Mercy Novena is intended to be prayed for graces and/or salvation to be given to other people. Jesus asked that this novena be prayed prior to the Feast of Divine Mercy (the Sunday after Easter), beginning on Good Friday. He gave Sr. Faustina an intention to pray for on each day of the Novena, saving for the last day the most difficult intention of all, the lukewarm and indifferent of whom He said: "These souls cause Me more suffering than any others; it was from such souls that My soul felt the most revulsion in the Garden of Olives. It was on their account that I said: 'My Father, if it is possible, let this cup pass Me by.' The last hope of salvation for them is to flee to My Mercy." In her diary, Faustina wrote that Jesus told her: "On each day of the novena you will bring to My heart a different group of souls and you will immerse them in this ocean of My mercy ... On each day you will beg My Father, on the strength of My passion, for the graces for these souls." All mankind, especially sinners; The souls of priests and religious; All devout and faithful souls; Those who do not believe in Jesus and those who do not yet know Him; The souls of separated brethen; The meek and humble souls and the souls of children; The souls who especially venerate and glorify Jesus' mercy; The souls who are detained in purgatory; and The souls who have become lukewarm. 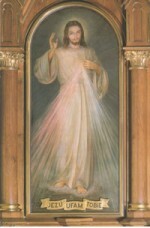 This is prayed along with the Divine Mercy Chaplet, which is found at the end of this page. Most Merciful Jesus, You Yourself have said, "Learn from Me for I am meek and humble of heart." Receive into the abode of Your Most Compassionate Heart all meek and humble souls and the souls of little children. These souls send all heaven into ecstacy, and they are the heavenly Father's favorites. They are a sweet-smelling bouquet before the throne of God; God Himself takes delight in their fragrance. These souls have a permanent abode in Your Most Compassionate Heart, O Jesus, and they unceasingly sing out a hymn of love and mercy. 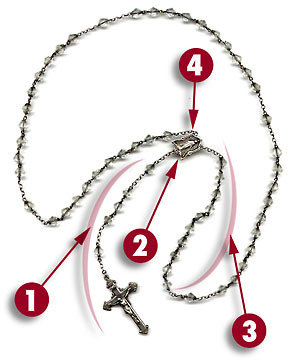 Begin with the Sign of the Cross, One Our Father, One Hail Mary and The Apostles Creed.